Melink is an energy solutions company that strives to make building construction greener with a focus on integrity and innovation. 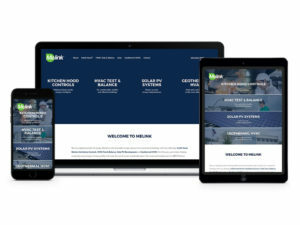 For this project, our team was tasked with providing an overhaul to the main company pages, as well as microsite for their product, Intelli-hood. These sites represent two separate domains (www.melinkcorp.com & www.intellihood.com) but are seamlessly combined into a single overall theme. The sleeker design makes it simple to jump from site to site, while remaining in the company’s overall vision and branding. Each webpage is also responsive with clean layouts for easy navigation. We are proud of the redesign and think Melink has a fresh face forward as they continue to expand.